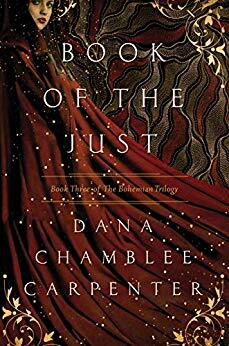 Book of the Just by Dana Chamblee Carpenter is the final book in the Bohemia Trilogy—and it is a wonderful read! Big news—Mouse has a new baby brother! Unlike most older siblings, Mouse hopes that her father will be so focused on the new addition that he will forget all about her. But, when your father is the Devil you never get what you hope for. Mouse and Angelo have been hiding with the Martu deep in the Great Sandy Desert of Western Australia. Shut off from the world they have eluded both her father and Angelo’s “father”, the Bishop Sebastian and his Novus Rishi. They have enjoyed being a family and part of a community. The spiritual leader of the Martu, Ngara, knows that Mouse is special. She leads Mouse through a dream that reveals many things, but especially, the location of a “gift” from the Seven Sisters that is waiting for Mouse to find. Angelo pushes Mouse to find the gift. He knows he is Mouse’s greatest weakness. He can see the battle coming and knows that Mouse must learn to control her powers and use every bit of advantage she can find. But Mouse would rather just stay with the Martu and pretend that the outside world just doesn’t exist, her powers don’t exist, and that she and Angelo can just be a happy. But, Heaven and Hell both know that with the right bait every mouse will venture from the safety its hole. Can Mouse escape the traps that are set to snare her this time? Carpenter has once again woven a wonderful story from the threads of history, mythology, art, fact and fantasy all laced together with emotion—love, hate, faith, betrayal, fear and fortitude. Her ability to create characters that are at once flawed and perfect is a delight to experience. I found myself at times cheering out loud the characters or desperately trying to will not to make the choices that will lead to their downfall. 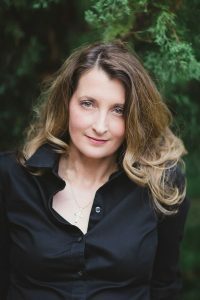 I have cherished each volume in the Bohemian Trilogy and look forward to what Ms. Carpenter will write next.